Home / Dog breed / Purebred or Mixed Puppy: Which is Better? With a lot of dog breeds available, you might have heard a lot of argument among dog lovers and experts about the merits of mixed-breed versus a purebred. Some folks believe that there are a lot of benefits choosing a mixed breed over a purebred dog, they argue mixed breed has a better disposition and can easily adapt to new environment, and that mixed- breed are sold at a lower price compared to purebred. Mixed breed dogs, otherwise known as "mutts," are just as loyal and affectionate as purebred dogs. Their major dissimilarities are cost and predictability. When you purchase a purebred dog, you certainly know what you are getting in terms of looks, size, temperament, and potential health concerns. For instance, when buying a German Shepherd puppy, you expect it to grow to be around 65-100 pounds, with a thick, average-length coat, you also expect the coat to shed a lot. You will be familiar with this since that's the breed's profile. But mixed breeds are not really the same, when buying mixed breed, you may not know exactly how big he is going to turn out or his temperament and personality. Even though you've been informed that the dog, for example, is part Springer Spaniel and part German Shepherd, There are possibilities thatthe parent dogs were not purebred either and possessed other breeds trait in their mix. So you can't count on your puppy growing up to look and behave like its parents. Als, a lot of dog lovers believe that getting a mixed-breed puppy is a big risk since one cannot be very sure about of the exact mix of breeds that have come before that puppy. It is believed that since it is very difficult to predict the size, temperament, and personalities of the puppy. There is a possibility that you may end up with a dog that is completely unsuitable for you, and by the time you discover that it is already too late. 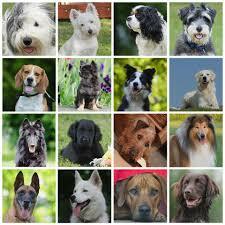 On the flip side, there are a lot of dog lovers who prefer mixed breed dogs. They feel that mixed breeds puppy often has the benefit of having a much lower chance of being born with inherited congenital infection because the mating process naturally leaves out the defective genes. This is a general truism. But the good thing is that with today’s technology, you can easily do research on the behavior and physical traits of a certain breed you prefer. This will help you have a good understanding of what to expect as your puppy grows up and better determine if it will be a good match for you. If you are planning to become a breeder, then choosing a purebred, and being very careful in choosing the breeder you buy from will be the right choice for you. The same goes if you are in need of a dog for competition or take part in certain activities like running or hiking. Whether you want a calm, laid back dog or a high energy dog, the decision can be made easier by searching for a certain breed with those qualities. But, if you just need a companion, a pet that will be loyal to you, it really doesn't count whether you get a mixed breed or a purebred dog. Breed alone does not determine the final outcome. Both breed has their individual benefits, yet at the end of the day, how your puppy turns out will depend completely on how you groom your puppy. The puppy will still need to be trained and disciplined in order to develop into an intelligent and well-trained dog. Purebred or Mixed Puppy: Which is Better?